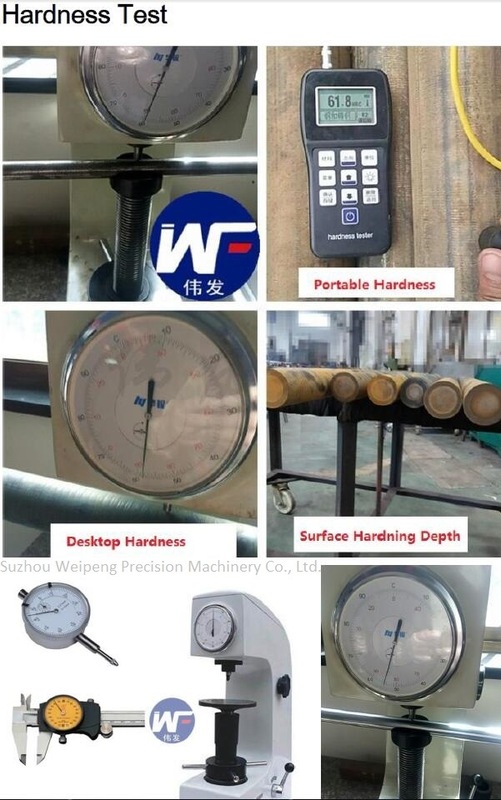 Suzhou Weipeng Precision Machinery Co., Ltd.Â is located in Suzhou, which is aÂ foreign trade oriented economic developed city, adjacent to international port city Shanghai. 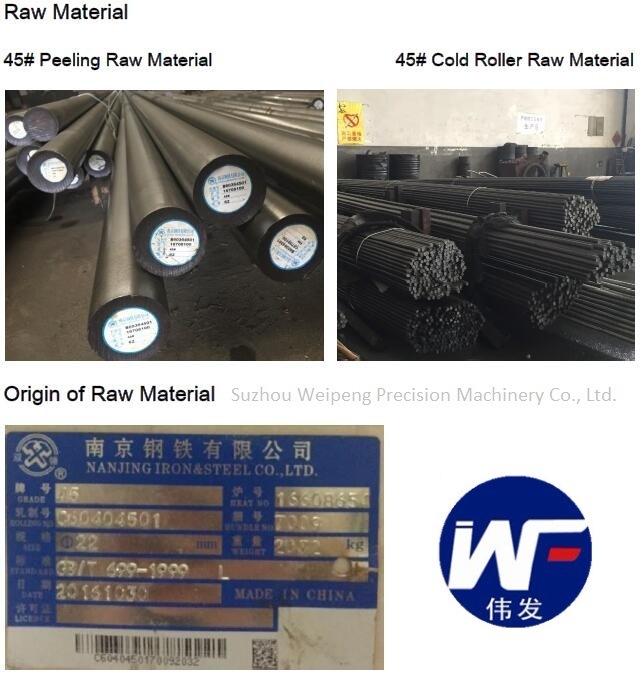 Established in 2009, we're aÂ manufacturing company specialized in the production of piston rods and linear shafts. 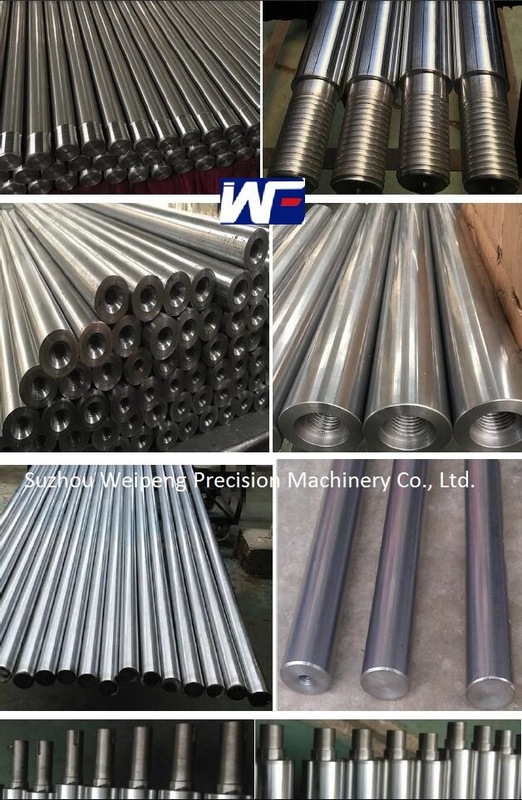 Hard Chrome Plated Rod, Hydraulic Piston Rod, Cylinder Piston Rod,Â Chromium Rods, Hard Chrome Shaft,Â Induction Rod, Induction Shaft, etc. The corrosion resistances is tested in our own internal salt spray laboratory, andÂ The rods surface heat treatment and hardness reaching HRC55Â°Â±2Â°,Â and at a hardened depth of between 0.5mm - 3mm, before the rods are put through precision milling and hard chromium treatment for a membrane thickness measuring 20 micron Â± 10% to drastically improve the rod's wear resistance, and help to extend the life cycle of the rods. 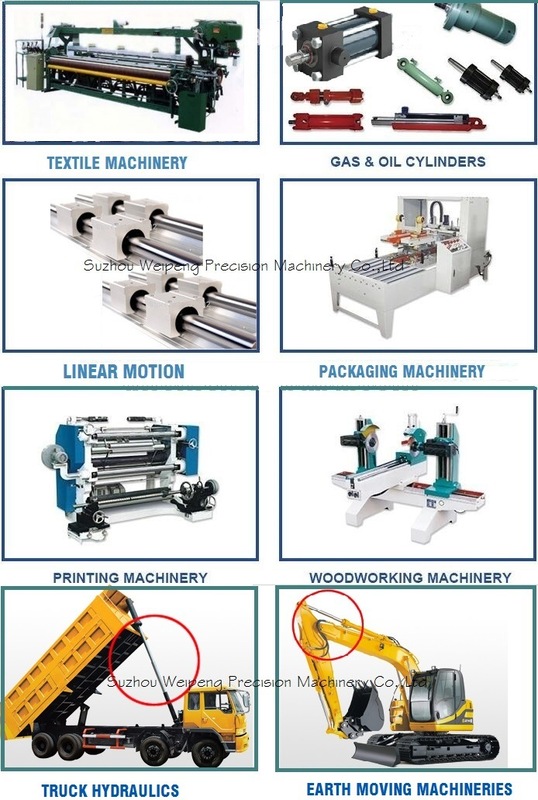 Our main product specifications are written below for your reference. 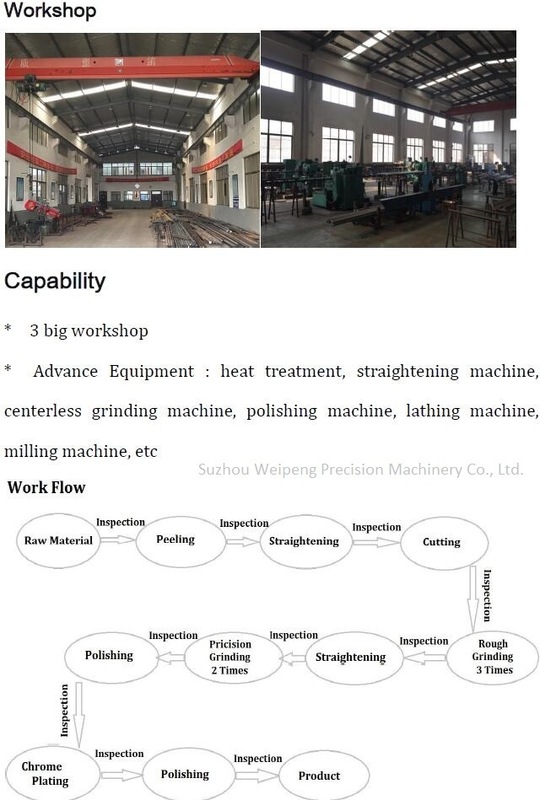 Â If any interest, pls feel free to contact us. Our Â Induction Hardened Chrome Plated Bars are produced by using advanced processing techniques usually on JIS S45C, SAE1045 or DIN CK45Â steel rods, for surface removal, polishing, induction hardening, followed by hard chrome plating to a thickness minimum of 0.0005" or 0.001" per side. The finished product results in a superior impact resistant bar ideal for high quality piston rods capable of handling tough environments. 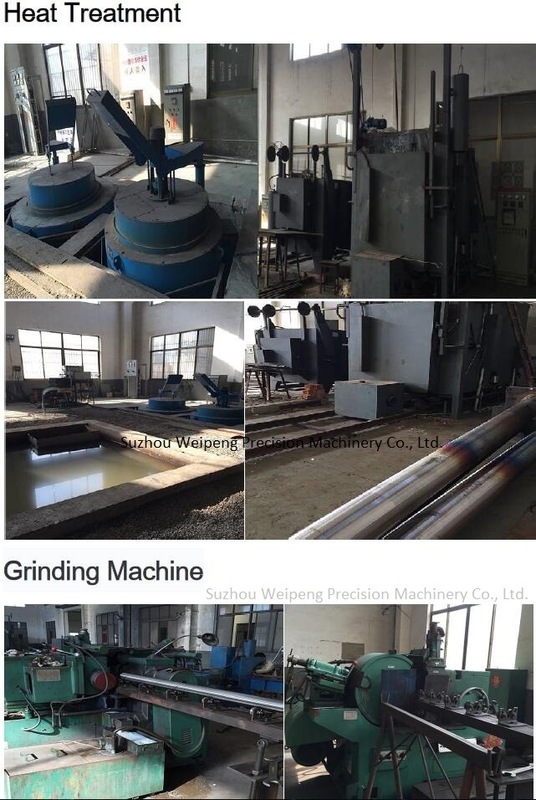 The raw material we use is the most famous brand in China, which has very high density and stability in the quality.Â Our products are hightly appreciated by our clients for their competitive price and good quality.